In recognition of the fact that “Fortnite” has quickly become one of the most popular video games in the world – one played by more than 125 million players – I decided to play the game myself in an attempt to understand its widespread appeal. As a parent and as a political theorist who focuses on education and its impact on democratic society, I couldn’t help but notice how much the game seems to teach children the wrong lessons about how to function as an adult and interact with others. I came away from my “Fortnite” experience thinking that the game is raising young people to be self-centered, not good citizens. Some may question why a political theorist wishes to weigh in on the impact of a video game. But political philosophers – going back as far as Plato – have long recognized the influence that games have on the body politic. In the 18th century, for instance, Swiss political philosopher Jean-Jacques Rousseau noted that games establish habits and attachments that will shape what kind of political actors children become. For that reason and others, I believe it pays to seriously examine the influence that “Fortnite” might have on how children come to view society and the world. But first, a little background on the game itself. In the most popular version of “Fortnite,” Battle Royale, your character drops from a floating bus onto an island with other players where the goal is to be the last survivor. You run through forests, urban landscapes and fields, collect weapons and health potions, kill other players, build structures and dance. As one who spent several weeks playing the game, I can attest that the game speeds up your heart rate, makes you laugh, enables you to communicate with other people and teaches you strategy – all within the realm of a fantasy world. People play on the most sophisticated gaming platforms as well as their home computers and cellphones. I myself played on a cellphone. One popular “Fortnite” gamer, Richard Tyler Blevins, also known as “Ninja,” recently appeared on the cover of ESPN. 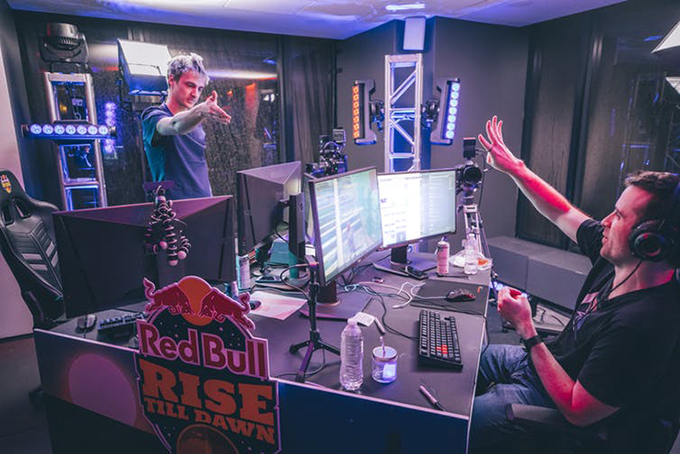 Hundreds of thousands of people watch him and others play on the live video-streaming platform Twitch, enabling him to amass a fortune of US$500,000 a month. Students play or watch “Fortnite” in the evenings, on the weekends, at the library, and even in class. According to a survey by financial education company Lendedu, the average player spends between six and 10 hours per week playing the game, with 7 percent of the respondents saying that they play more than 21 hours per week. The average player also spends about $85 on the game, according to Lendedu. 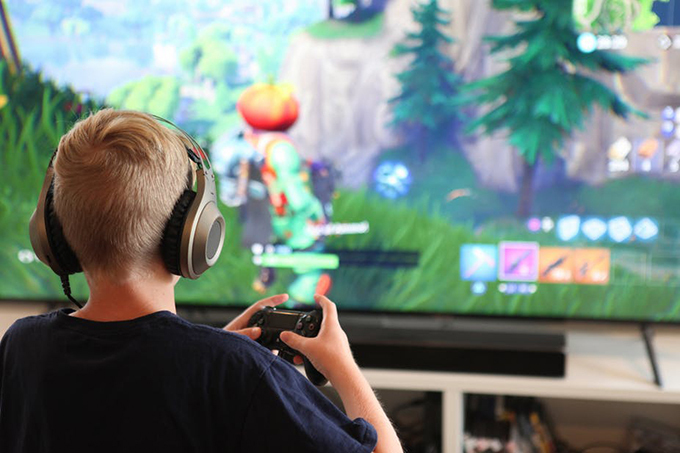 The New York Times published an article with advice on “parenting the Fortnite addict.”The advice included using the game as “a carrot adults can use to their advantage.” The deeper question, however, is what are the long-term consequences of raising a generation of “Fortnite” addicts? People who play violent video games for long stretches of time tend to develop depression, anxiety, and dissociation from reality. In “Glow Kids,” Nicholas Kardaras explains that when a player achieves a “kill shot” in a shooter game, their brain releases a pleasure-causing chemical called dopamine. This in turn makes video games highly addictive. Married couples around the world are already blaming “Fortnite” and other video games for their divorce. One should not be quick to blame video games for acts of violence; most children who play “Fortnite,” of course, will not re-enact the game in real life. Defenders have noted that “Fortnite” is more “cartoony” than other shooter games such as “Call of Duty” or “PlayerUnknown’s Battlegrounds.” That said, “Fortnite” still involves hacking other people with an axe or pointing your gun at them and trying to kill them. At a minimum, the game is not teaching young people to settle disputes with words. Finally, and most problematic, “Fortnite” trains children to think primarily of themselves and maybe a small circle of friends. When people play “Fortnite,” they enter their own little world. For maximum enjoyment, players wear headsets and keep their hands glued to their keyboard and mouse. Sometimes, players text or talk with other people or do Playground mode, which is closer to “Minecraft” than a shooting game. More frequently, people play by themselves in the Battle Royale version of the game where the goal is to be the last survivor in a war of all against all. In “Democracy in America,” the French political theorist Alexis de Tocqueville warned that the greatest threat to democracy is “individualism,” a disposition to isolate oneself from everyone other than a small circle of like-minded people. In “Fortnite,” the combat zone contracts as the storm pushes you into closer proximity to other players. That is an apt metaphor for the game. “Fortnite” shrinks your world so that you only think about the survival of yourself and maybe a few members of your squad. “Fortnite” may not be the only violent video game that emphasizes individualism and survival. But given its current popularity and appeal on the planet, it pays to examine its effect on the individuals who will make up society as a whole.